After 40 years of friendly enmity, the Pasadena Heritage Society held a gala evening at the Green Hotel in Pasadena to honor the hundreds of builders, architects, developers, civic organizations, city leaders and volunteers who stood in the way of the wrecking ball, and saved Old Pasadena–including PADV principals Tony Nino and Suzanne Marks. They called us The Guardians of Old Pasadena, the people who managed to turn a desolate slum into one of the most popular downtown areas in Southern California in less than thirty years. 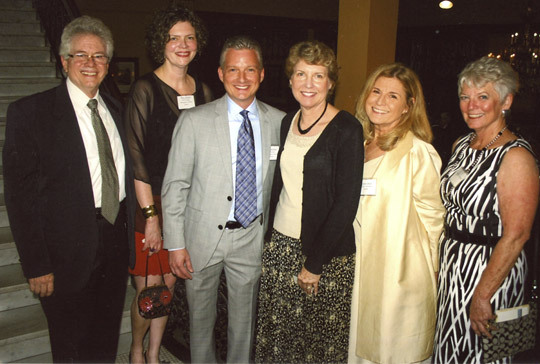 As past chairs of the Old Pasadena Management District, Suzanne and I were proud to be a part of it. The City’s solution was draconian, tear it down and start anew… according to 1970’s standards. The Arroyo Group and some helpful friends at the City Council joined Pasadena Heritage to fight long and hard to bring that destructive effort to a stop, and after the loss of some historic treasures, they succeeded. But even after they’d won, and wrecking balls were safely stowed away, someone had to step up and physically build the vision they’d had. That’s when the property and building owners, developers and builders stepped up to restore the crumbling facades that had fallen into such sad disrepair. Their contribution was represented by Jim Plotkin, but also included Gene and Marilyn Buchanan, Francine Tolkin, John Wilson, Danny Mellinkoff and many others. Once the restoration of the faded architecture began to return to it’s former glory, there came the daunting task to make Old Pasadena profitable again. 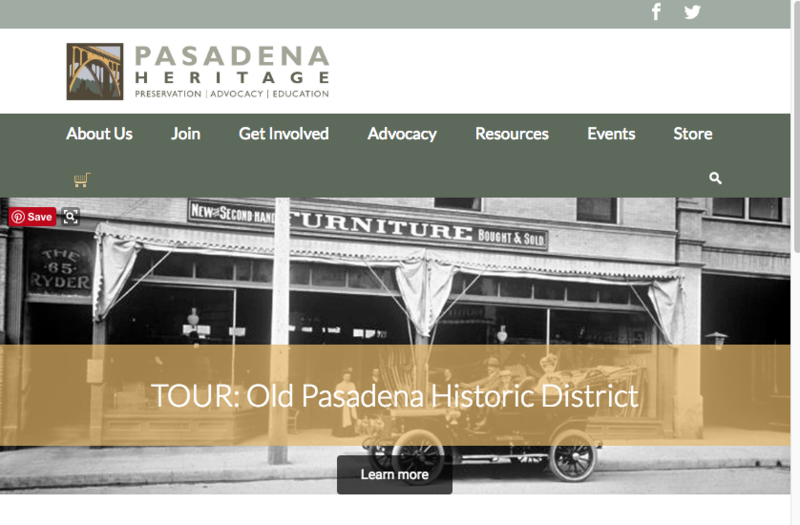 A number of Old Pasadena business development organizations were formed to coordinate this Herculean effort, including today’s Old Pasadena Management District (OPMD). At first we met in the refurbished Chamber of Commerce building at Arroyo and Colorado, because there was no place for Old Pasadena advocates to meet. Of course, at the time, there wasn’t really an Old Pasadena. But there was Bruce Ackerman, President of the Pasadena Chamber of Commerce. He not only let us meet there, he acted as referee when this contentious band he had invited in every month would … disagree. Heatedly. Repeatedly. Somehow, he took our passion and turned it into action. Within ten years, reconstruction was accompanied by revitalization. Events were organized to introduce new visitors to this brand new Old Pasadena. A movie theater was built to reinvigorate nightlife. A slumlord got kicked out of his building, and the last island of decay within our 22 blocks, was rebuilt. And in an epiphany of counter intuition, a parking plan was devised to bring more customers into the district, raise money for the district and encourage employees to park off of the main business streets to make room for shoppers. The secret? Parking meters. In combination with 90-minute free parking in parking structures, more visitors stopped, shopped, ate and played than ever before. The solution was so successful, it fills the pages of “The High Cost of Free Parking,” by Donald Shoup and Douglas Kolozsvari. Five years ago, OPMD took over management of the parking structures from the City. We cleaned them up, made them safer, kept the prices low and offered 90-minutes free parking. In our first full year, we took the annual earnings from $5000 a year to $500,000 – yes, 100 times better. Last year, at the height of the worst recession in 60 years, we made $1.7 million. Our lots were so successful, some in the City tried to take them back. Instead, we are slated to take over two more structures. In Steve Mulheim’s two minutes at the dinner, he didn’t have time to mention that. Today, as the economy rocks and reels, the same Old Pasadena that was born in adversity, continues to thrive. But now, OPMD can support our developers, building owners, merchants, and restaurants with a level of marketing that vastly exceeds our minuscule budget. Our events have grown so popular that sponsors stand in line to support them. Our web site gives all of our stakeholders their own unique page or provides links to their own sites. Our social media programs have proven so popular that now even referral sites like Yelp have joined our pool of sponsors whenever we hold an event. We thank Pasadena Heritage Society Executive Director Sue Mossman for a very special evening. And in turn, we thank them, and each and every one of our predecessors for helping to take these 22 blocks from the brink of obliteration to where it is today. Thank you for honoring us. Thank you for being a part of us. We look forward to working together for our future.